You are here: Home » The Holy Grail at 40! Great news for any Monty Python fans! The gang are back on the big screen for one night only! To celebrate the 40th anniversary of the classic film, the people over at Park Circus and Sony Pictures are bringing the film back to, only, 500 UK cinemas in a brand new sing-a-long version. Just be careful of that rabbit ‘tho! 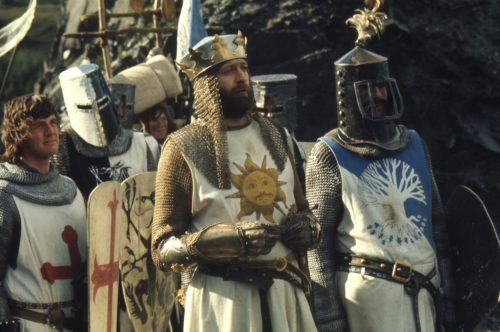 Yesterday Park Circus and Sony Pictures are delighted to announce the 40th Anniversary re-release of Monty Python and the Holy Grail. The 1975 classic will be screened in over 500 UK cinemas for one night only on Wednesday 14th October 2015 and for the first time the film will also be shown in a brand new sing-a-long version. The film will also be released internationally by Park Circus and in the US by Rainbow Releasing.